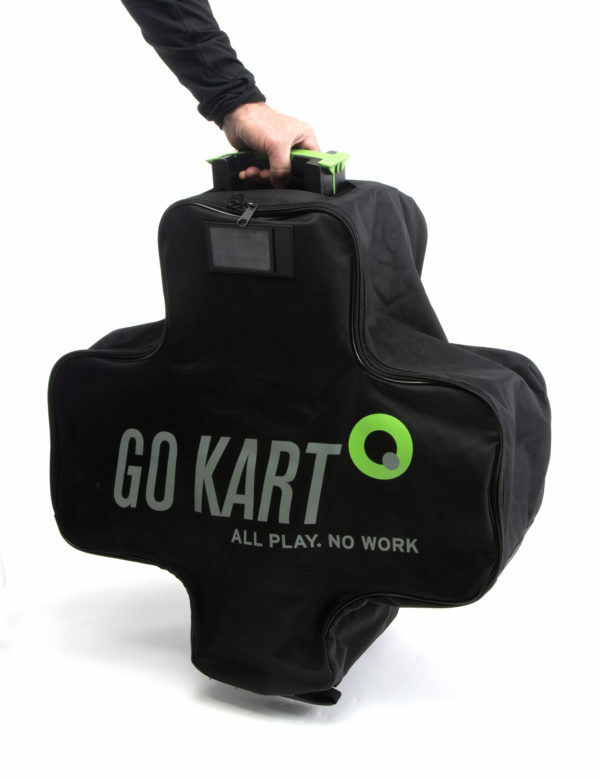 This is the bag in which to store the folded GoKart. It’s exactly the same as the Mk1 bag, apart from having a slot in the top for the trolley handle to poke through. So it doesn’t need the separate webbing handles stitched to the bag. It does have our logo on the side quite large (we think it might be visible from space).